Federal Signal’s Starfire® strobe warning lights are available in single-flash (131ST) and double-flash (131DST) models. Through precise timing of the strobe flash, the double flash unit produces 1,200 effective candela; the single flash unit produces 1,000 effective candela. The base of the light is made of corrosion-resistant anodized aluminum. Each Starfire model comes with a standard 1/2-inch NPT pipe mount. An optional surface mount can be ordered. or temporarily) and mount on lift trucks, cranes and other moving devices. 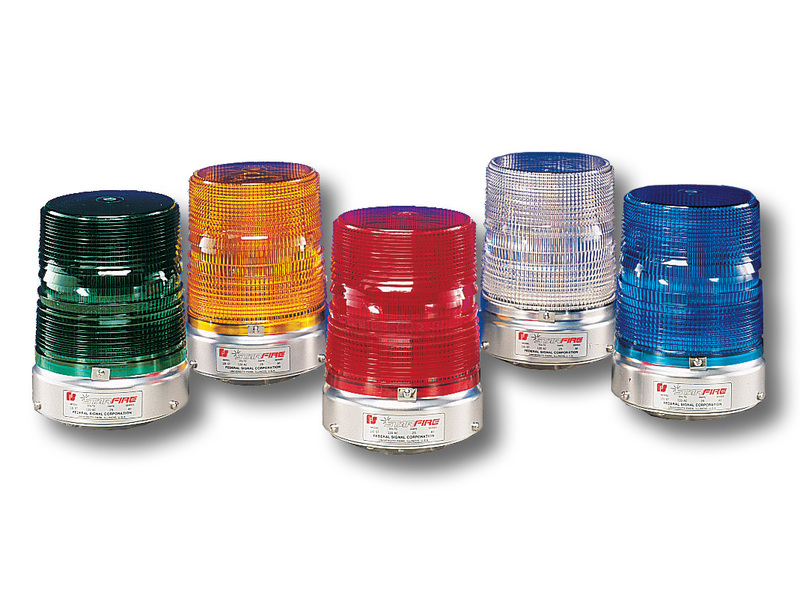 These powerful strobes can be used on emergency, utility, maintenance or other vehicles requiring emergency warning.